Lead a legion of fierce warriors to victory with the Roman Commander Vambraces guarding your forearms. Whether you are attending a historical event or theatrical production, step into full character as a hero of ancient Rome. 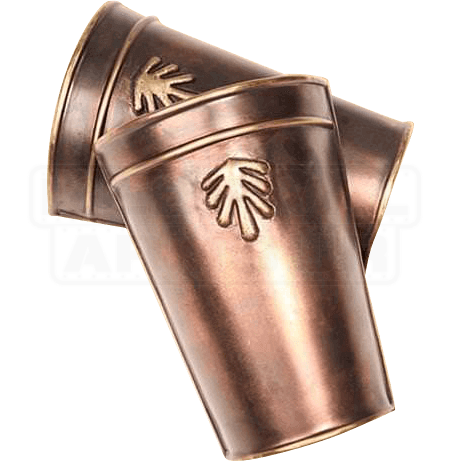 Crafted from steel, these bracers possess an antique brass finish. 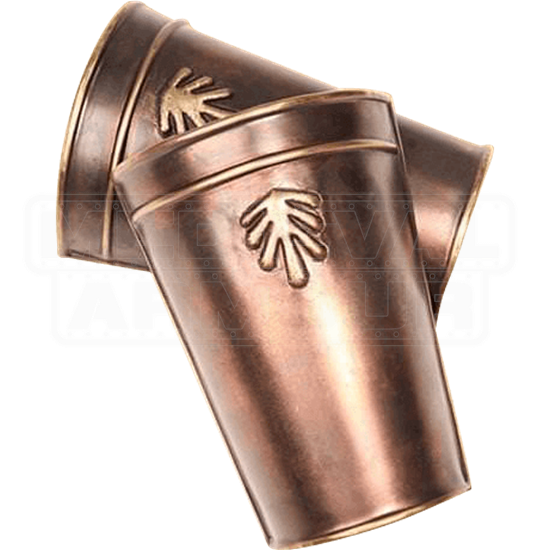 An embossed leaf symbol decorates the upper cuff. A suede leather lining and rolled edges provide enhanced comfort. Thick leather lacing allows you to customize the fit. Earn a name for yourself, and become worthy of legend, while wearing the Roman Commander Vambraces.